Dr. Porcelli is a graduate of Midwestern University Chicago College of Osteopathic Medicine. She completed a combined residency in Internal Medicine and Pediatrics at Loyola University Medical Center-Ronald McDonald Children’s Hospital. 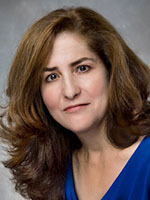 Dr. Porcelli has more than 15 years of primary care experience at Loyola University Medical Center, Boblick Medical Group, Oak Park and Elmhurst Centers for Health in Illinois where she served as a primary care physician, a clinical educator for medical students and residents, and provided coverage for Urgent Care. She is board certified in both Internal Medicine and Pediatrics.